When picking out a destination for a ski trip it’s always good to book beforehand your transportation. For those of you who live close to a resort, getting there may be just a matter of packing up the car and driving there. But for those of you who have to fly out, even a 10km trip from the airport may be hell with all your luggage during the winter. If you’re coming to Borovets there are many different forms of transportation you can use and we will cover them in the article. Just 70km south-east of the Bulgarian capital you can find the oldest ski resort in Bulgaria. Established in 1896, Borovets was first used as a vacation getaway for Bulgarian elite. Now it’s one of the best family resorts in Bulgaria. It’s located in the Rila Mountain range, close to the city of Samokov. 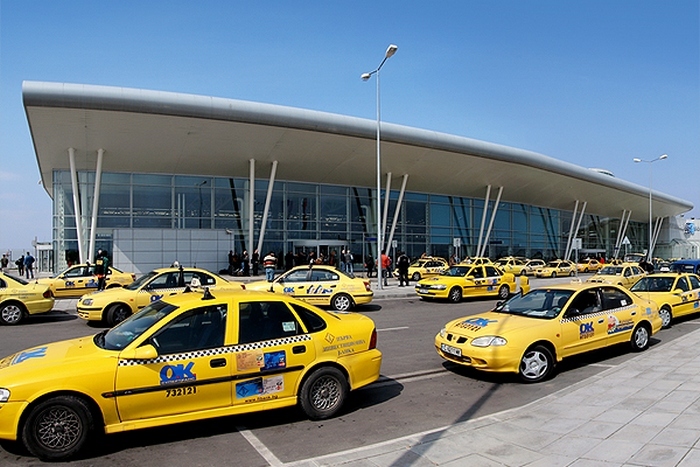 There are two airports close by that you can travel from – Sofia and Plovdiv. One of the most popular options is to hire a shuttle bus to drive you from the airport to your accommodation in the resort. These can vary in size depending on your group size, or if you hire a shared or private bus. One of Traventuria’s new transfer buses. >> Low prices. This option gives you the best bang for you buck. Depending on the group size you can get transferred from the airport to your hotel for as low as 10 EUR. The bigger your group, the cheaper it will be. >> Qualified drivers who will get you there safely. >> No need to worry about your luggage. >> You can have an after-flight beer while being driven. >> The advertised low prices by some companies are for groups of 10+ people. If you are traveling with less in your group the price will be higher than on the website. >> Some transport companies offer such services illegally and without proper registration. Just because they have a fancy website, doesn’t mean they can legally offer such services. Beware of property management companies or hotel websites, who offer this service without a tour operator’s license. >> When choosing a “shared” shuttle, you may need to wait in the airport for the other passengers to arrive. Another option is renting your own car and driving yourself around. As can be expected this is one of the more expensive options. If you feel like a confident enough driver to take on Bulgarian roads, this could be a viable option in Borovets. You won’t be needing it in the resort itself, but you would be able to explore the surrounding area better. As with any rent-a-car prices depend on what and when you book. We suggest going for a 4×4 option, as snow cleaning in Bulgaria isn’t that great. >> Do what you want, when you want. >> No one to bother you during your trip. >> Easy way to go eat dinner in Samokov, rather than in Borovets. >> Not really necessary to have a car in Borovets. It will probably be parked in front of the hotel most of the time. >> Hidden charges. Make sure to get insurance for the car for any damages. >> Parking in Borovets is very little and is not free. Except in front of your hotel. >> The road to Borovets is a second class road, that can be terrible during a snow storm. Or even a week after one. If you can’t put snow chains you’d better waive this option. For those of you looking for the cheapest option, are staying in Sofia before going to Borovets or just prefer a more local approach, you can travel by public transport. There are buses every 30 minutes from bus station “South” that go to the city of Samokov. From there you will need to transfer to the bus to Borovets and then walk to your hotel (which may be 3-4km out of the resort). Total travel time from Sofia to Samokov is about 1:20 hours. Samokov to Boroevts is another 20-30 minutes and there are buses again every 30 minutes. >> Cheapest option out there. One direction will cost you around 5 euros. >> The bus station is far away from the airport (although this can be reached by a subway, starting at Terminal 2 of Sofia Airport). >> Longer travel time. You will also have to switch buses. >> The bus will drop you off in Borovets at the bus station, which can be far from your hotel, depending where you are staying. >> Thieves. It wouldn’t be anything new if some of your luggage doesn’t make the journey. Keep your eyes peeled at every stop. The most expensive way to get to Borovets is by taxi. You can get one from the airport and they will drive you directly to your hotel in Borovets. Travelers who choose this option should be wary as most cab drivers will take advantage of you the first chance they get. We would suggest taking a cab from “OK Supertrans” as they have an office inside the airport terminal and will assist you as much as possible. When in Bulgaria be extra cautious when catching a cab. Always check the price and keep a look out for copy-cat companies. These will have almost an identical logo to the real companies, but will charge 3-4 times as much money. >> No need to book in advance. >> Airport to hotel transport. 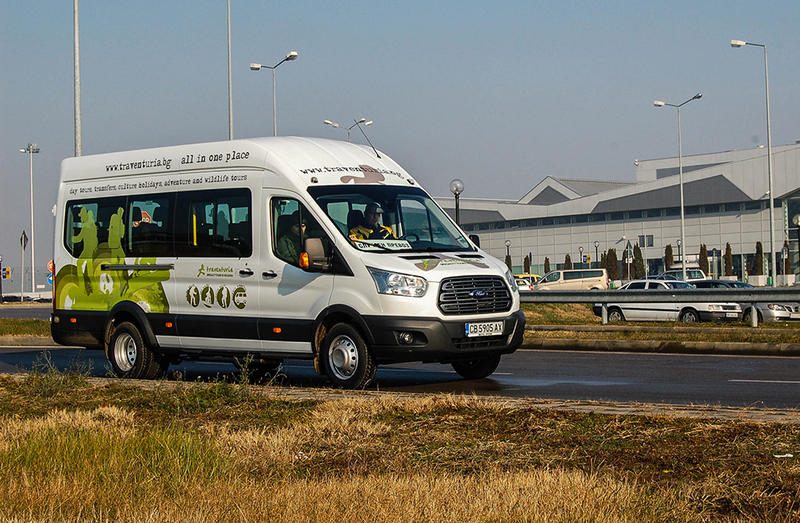 >> Additional stops along the way, such as commission-free change’s, to get local Bulgarian levs. >> Expensive. Expect hidden charges too. >> Drivers will probably not speak English and you’ll be lucky if they know where your hotel is in Borovets. >> Little luggage space. Taxis in Bulgaria often drive on LPG or Methane, which means they have a big bottle in the trunk. >> Cars in bad condition. Taxi drivers don’t prepare for long trips like this. Even though they have nice new cars, things like good winter tires are rarely a priority. 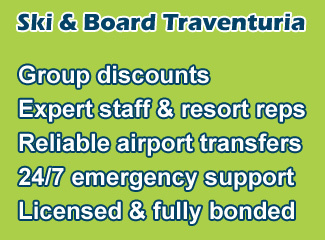 Traventuria Ltd. is fully bonded tour operator, transferring thousands of clients each season to and from Borovets. 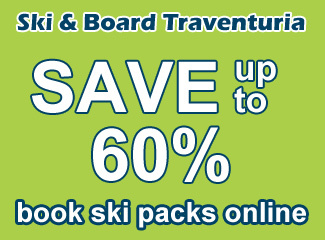 People who have bought ski packs from us receive further discount on our transfer rates. For more details see HERE. Still got questions? Please get in touch with us directly through our contact section or leave a comment below. For more information on Borovets, download our FREE guide. Click Here. Ever since I started skiing at the age of 6, I knew that the mountains were where I wanted to be as much as possible. Big mountain skiing is the best thing in the world for me, followed by hitting a few laps in the snow park. Traventuria Ltd. (SkiBorovets.bg) is one of the leading providers of lift passes, ski and snowboard equipment hire, ski and snowboard school tuition and airport transfers for the Borovets area. With several thousands of satisfied customers each season we are highly rated on TripAdvisor. 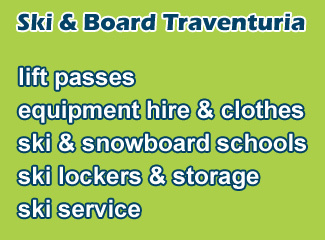 Traventuria Ltd. operates ski rental shops in Bansko and Borovets resorts under the brand name "Ski & Board Traventuria". There you will find the best selection of winter sports equipment to hire: more than 1000 pairs of skis and snowboards, new models of ski boots, helmets and goggles produced by Head, Nordica, Fischer, Rossignol, Stockli, Dynastar, Elan, Dalbello, Alpina, Burton, Nitro, Imperivm, Nevica etc. This is the only ski shop in Borovets with such new equipment for rent, which also has a modern service center for base and edge repairs, hot waxing, boot drying etc.